MWB Tax Solutions will help you settle your debt with the IRS, and get you current with your back taxes. MWB Tax Solutions will help you easily settle your federal and state taxes fast! Contact us to learn more about our process. Behind on your taxes? Contact us now to get more information on how we can help you with your back taxes. Are you being penalized by the IRS? We can quickly remove IRS penalties to decrease the amount of tax debt owed. Slowly pay your taxes over a period of several months rather than one full big payment. Contact us now. Do you have an IRS tax lien? Is the IRS garnishing your wages? MWB Tax Solutions will help you get the lien removed fast! We’ll show you the easiest way to file an appeal to the IRS if your “offer in compromise” has been rejected. Tax season is upon us and while this may be good news for many, others may be pulling out their hair due to the mountain of tax debts and penalties they are faced with. If you currently fall in the latter category, you can count on MWB Tax Solutions to help you. Our comprehensive range of tax debt solutions are designed to help you resolve your tax issues with the Internal Revenue Service (IRS) in a timely and hassle-free manner. Owing money to the government, while not something to be proud of, is nothing to be ashamed of. Many successful business people have confessed to having huge tax debts at some points in their lives, some amounting to millions. With that being said, IRS tax delinquency is something that you want to get on top of as soon as possible to ensure your financial future is protected. The last thing you want is the IRS hunting you down or placing you and your debt in their black books. That is why we are prepared to help you wade through the murky waters of tax debt. MWB Tax Solutions has an excellent team of tax debt professionals representing top-rated tax debt law firms, waiting to work out a suitable debt solution with the IRS for you. If you’re faced with wage garnishment by the IRS, having your bank account frozen, or your properties seized; you should to talk to us before it’s too late. What you need is a knowledgeable tax adviser that is experienced in tax debt resolution and who can provide you with relevant information and advice. If you act now, you could avoid garnishment or even get it stopped. Additionally, our we are armed with facts, can negotiate on your behalf, and have your tax debt problem handled in a manner that suits you. So, you may be wondering if we can do all that we say or whether you should even involve a third party to deal with your tax settlement issues. Well, the truth is that we’ve been doing this for years. We’ve been helping people from all walks of life deal with the fearsome IRS, largely regarded as the most ruthless debt collection agency on the planet. With that said, our team consists of world-class tax consultants who have a wealth of experience handling the IRS on our clients’ behalf. We are ready and waiting to do the same for you. Contacting us today is your first step towards tax debt relief. Whether you’re faced with your first debt or you’ve owed the government money before, you should be aware of the possible consequences if you fail to settle your debts. You should also educate yourself on the possible steps that you can take to counteract these or limit their severity. The IRS is not feared without reason, as it has over 140 penalty provisions for taxpayers who fall behind on tax payments. In addition, you can expect to be charged interest on your outstanding balance, with the amount increasing for each passing month that you remain in the red. I’m sure you’ve probably heard of celebrities such as Wesley Snipes and others who, one day woke up to large fines and possible jail time, having not paid taxes in quite a while. With a little knowledge and our help, you don’t have to end up down that road. If there are errors on your taxes, you don’t pay, or underpay; there is an initial penalty of 0.5% on the total outstanding amount. This might not seem like much and is one of the reasons why some people don’t pay too much mind or forget about the penalties once they fall behind. However, that amount will add up for every month that your taxes remain unpaid, until it reaches a maximum of 25% of your grand total. The IRS can slap you with separate penalties apart from that, including instances where you fail to file, if no payments are forthcoming, or worse, if you are suspected of tax fraud. On the flip side, you can have your tax penalty reduced to as low as 0.25% if, after the IRS issues a levy, and your taxes are in arrears for 10 days, you decide to set up an installment agreement with the IRS. A tax debt hanging over your head will only get worse the longer you take to do something about it. The first step to take is to acknowledge that you are in deep waters. As for the second step, you should get yourself a suitable IRS debt settlement consultant. If you need help with this second step, MWB Tax Solutions in Minnesota can definitely help you. All you have to do is fill in your information on our form, or call us at: 1-800-260-9441 for a free tax debt relief consultation. There are a number of approaches that you can take to settling your tax debt. To begin with, the IRS provides options that can help you to start handling your debt. However, depending on your situation, these may not always be helpful; plus the IRS may refuse to offer them to you for a number of reasons. It is all left up to the IRS and other government bodies to determine if you will meet the requirements for assistance. In other words, they will do what is best for them and not necessarily for you. On top of that, owing large sums locks you out of these options, and could make the situation even more stressful each time you think about it. MWB Tax Solutions in Minnesota can show you other options that you may not be aware of, which could help you obtain the most optimal IRS debt settlement possible. Helping you get full deductions and credit where possible on your taxes owed. Guiding you in filing for unfiled tax returns. Cessation of garnishments and bank levies. Assistance with the removal or reduction of tax penalties. 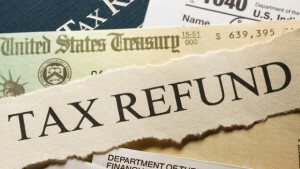 Helping you get back to a place of full tax compliance. Helping you to avoid future actions being carried out against you by the IRS. Is Tax Relief Really Possible? Like so many Americans who have been faced with mounting tax debts, you may be wondering if it’s really possible to settle your taxes for less than what you owe. While everyone won’t be able to realize this benefit, it is an option that should be explored. 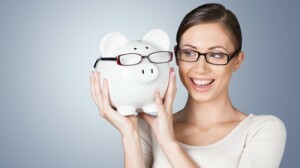 There are several determining factors that affect whether you can settle your debt for less; these include: your financial capacity to pay a certain amount, if you can make payments into the future, the reason why you went into arrears to begin with, mistakes on your part or even errors by the IRS. The Fresh Start program: If you want to avoid tax liens while paying off your taxes owed, this program could possibly help. Setting it up automatically increases the minimum amount you can owe before the IRS files a Notice of Federal Tax Lien, which is $10,000. Additionally, the Fresh Start Program allows you to make monthly direct deposit installments for up to six years and for as much as $50,000 worth of tax debt. Offer in Compromise: This is an extension of the Fresh Start program designed for people who are not able to settle their debts in full. 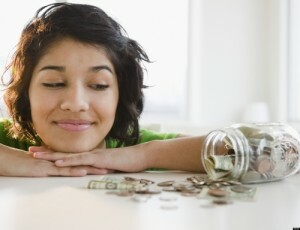 What it does is allow you to settle your outstanding tax debt for less than the amount owing. Getting access to the Offer in Compromise is dependent on two things, whether the IRS believes that you really can’t reach full tax settlement, and if their calculations determine that they will get less than the amount you owe from regular payments anyway. Making sure you complete the paperwork correctly can also determine whether you qualify for this option or not. Uncollectible or Currently not Collectible: If your financial situation is proven to be dire; that is, the amount of cash you earn is not more than your reasonable and essential daily living expenses, the IRS may cease their debt collection efforts until your finances improve. Of course, this won’t make your tax debt disappear and the IRS will check with you from time to time to see if your situation changes. However, you may receive debt forgiveness if your situation does not improve before the relevant statute of limitations expires. Partial Pay Installments: This is an agreement with the tax authorities, allowing you to make small payments every month towards paying off your tax debt. The debt may also be forgiven if the outstanding amount is not cleared up before the collection statute of limitations expires. Abatement of Penalty: If you’re able to provide a valid reason why you were unable to pay your taxes, the penalties that were applied to the unpaid amount may be waived. Amended Tax Returns: Errors in past filings of tax returns, whether on the part of the taxpayer or the tax authorities, may have resulted in inaccurate figures for tax owed. Once it can be proven that such an error was made, you can file an amended tax return to lessen your owed amount. When seeking to settle your taxes for less than what you owe, you need to be careful about the company you entrust to operate on your behalf. Not only are there unscrupulous individuals who will rip you off, there are also those who will promise you much, but deliver little because they did not take the time to find out about your full financial position and tax situation. As a result, they are not able to advise you accordingly and could take your money without resolving the issue. Here at MWB Tax Solutions in Minnesota, we take the time out to fully understand your situation as it relates to your financial standings and level of tax debt, before advising you about what your next likely steps will be. Additionally, there is no risk to you for this assessment phase, so you don’t have to worry that we will take your money without doing anything. If you’re currently facing tax debt, we want you to act now. The more time that you allow to pass without doing something about it, the more ammunition the IRS will have to use against you – not to mention the interest that will keep piling up and other penalties. Sure, you might face a great deal of uncertainty, but you could quite possibly end up surprised at the range of options that an experienced team can present to you after careful research. MWB Tax Solutions possesses that level of expertise and experience, which can assess your situation and deliver the best possible and likely outcome. If you are thinking of going to the IRS for help, we would not discourage you. In fact, we applaud any meaningful step you take to reach tax settlement. However, as you are probably aware, your chances of finding an amicable tax debt solution with the IRS are slim to none. Let’s face it, their main purpose is to collect as much money as possible, so that’s the angle any assistance from the IRS, if any at all, will come from. On the other hand, MWB Tax Solutions offers affordable tax relief services, and we’ll not only try our best to reduce the amount you pay back in taxes, we are also mindful of the fact that you are trying to find your financial footing. We offer affordable monthly payment plans so you’re not burdened down with clearing your taxes and paying us off at the same time. Our business is rooted in sound financial tactics as you will see. MWB Tax Solutions stopped the garnishment, filed all my back taxes, and submitted a settlement offer accepted by the IRS. I owed $12,926 and the IRS settled for only $2,481. Great job! MWB Tax Solutions did an AMAZING job for me and helped saved my restaurant. The IRS slapped me with a tax lien and MWB got the lien removed fast. Now I’m on an affordable payment plan with the IRS. Stress gone! I’ve talked to several tax resolution companies, and MWB Tax Solutions offered the most competitive rates. 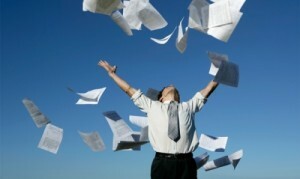 They were able to file my back taxes and settle my IRS debt within 3 months. Highly recommended. We’ll help you solve your tax problems, stop IRS tax levies & liens, and resolve your payroll tax issues. Call us now to get a free consultation. We’re ready to help you resolve your IRS tax problems. Click the button below to get your free quote! Get in touch MWB Tax Solutions below. You can find our location on the map, phone number, and email address to ask your questions. Request a free consultation and get tax relief now!